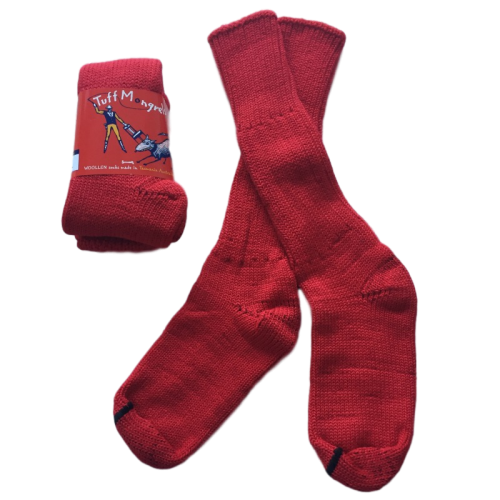 These bright red socks are a fine wool blend but made tough to wear with work boots - heavy weight and feature a non-restrictive top. Still nice and thick but with added 39% Polypropylene gives a lighter real weight sock and a bonus is they dry quicker than all natural fibre. Colour is a bright cheery red - just perfect to brighten those drab cooler days!